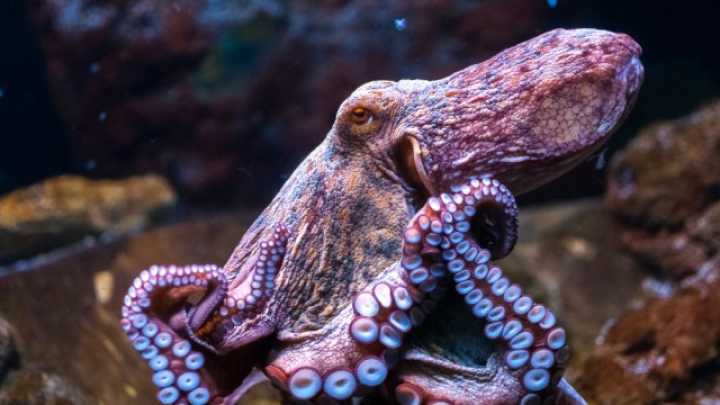 Recently, researchers have found very unique genomes found in some octopus species. They have described the traits as "extraterrestrial". Specifically, researchers from the Molecular Genetics Unit were the first to decode an actual cephalopod and get a closer look on their DNA. They found something called transposons, which move around and could either disrupt or enhance gene activity on the chain. Parts of their brain also came to be very similar to humans. Octopi are very intelligent. Obviously more research needs to be done on this topic but this was an interesting article because this could open the doors to another view on the development of life. Being able to study specific genes and traits and trace it back to ancestral organisms is going to make huge strides in the future once the technique is better worked on. This could lead to developing genomes and focusing in on specific genes that play a role in the organism's life. I never thought about an octopus having a similar brain to a human, because we are such different species. The part about finding "extraterrestrial genes" is so cool too, maybe aliens really are real!